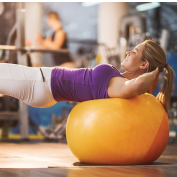 Before I started personal training with Cal Fit, I was physically exhausted. I had several chronic injuries from years of sports and fitness activities that had become debilitating. I had also not fully recovered from two difficult pregnancies and births. I was at least 20 pounds overweight, I felt weak and tired and I was, at least on some level, depressed from years of trying to regain my strength through many diets and fitness programs and repeatedly failing; often ending up worse for my efforts and/or sustaining injuries. summer and the cost of getting childcare to go to physical therapy every week was expensive and inconvenient. I inquired at Cal Fit to see if they had a personal trainer that might have the experience to work with someone post-surgery. Shane Harris at the Folsom gym assured me that Adam Pilkenton had the experience and could help me despite being only three weeks post knee surgery (with doctors approval), in addition to years of chronic back and neck pain, and injured rotator cuffs. Now, a year later, I can say that my experience with Cal Fit has far exceeded any expectations I might have had. The staff has been amazing. The front desk is always welcoming and helpful. The childcare staff often greets us by name as we approach and immediately make my kids feel welcome. I know most of the trainers by name and they often greet me and compliment me on my progress. Even the cleaning and maintenance staff is friendly and make an effort to have a great attitude toward patrons. Looking back now, I’m in awe of the patience and care that Adam took in the painstakingly slow process of rebuilding my strength, helping me to rehabilitate my knee and to slowly reform my posture to a healthy state. He has also spent many hours teaching me about nutrition from both a weight loss and a fitness performance perspective. It is incredible to me that a trainer who works with people who are in amazing physical condition and can do incredibly difficult workouts, can also simplify his instruction to such small methodical movements for those who are injured or extremely overweight. He has always been completely engaged in his work, attentive to each movement and breath, and never expressing any judgment or negativity. He treats me like I am his most important client whenever he works with me and I see him do the same for others of all fitness levels. For the first time in as far back as I can remember, I am living without chronic neck and lower back pain. My shoulders and knees feel healthy and stronger than they have in many years. 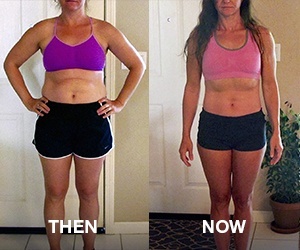 I’m 44 years old and I’m in the best shape of my life — I’ve lost more than 25 pounds! Soon I will compete in my first ever powerlifting competition. Working with Adam and seeing the transformation in myself has inspired me to expand my fitness expertise and become certified as a personal trainer (I have already spent many years training as a yoga instructor). I’ve been studying for the NSCA CSCS certification and plan to take the exam within the next few weeks. I want to do for others what Adam has done for me. Although yoga was my first love for many years and the focus of my training, I’ve experienced the powerful transformative effects that one-on-one training can provide to individuals, and I want to share that with others. Adam did for me in approximately six months what countless doctors, naturopaths, chiropractors, acupuncturists, physical therapists and master yoga instructors could not do in ten years. He transformed my life – helping me to regain my strength, my physical health, and my self-esteem. I am extremely grateful to Cal Fit, Adam Pilkenton, and to Shane Harris for his excellent management of the trainers that enables them to do such an amazing job! Thank you! How Tara Got into the Best Shape of Her Life!